Hello there, it’s time for another Watercooler Wednesday Challenge. This week being the 5th week of the month is an anything goes challenge. You can make a card, a 3D project, a tag; you get the idea! I decided to make a 3D card. I’ve seen quite a few of these around on Pinterest and thought I’d give it a go. It’s a pull-up card. It looks difficult but it’s really all about cutting, planning and then glueing! 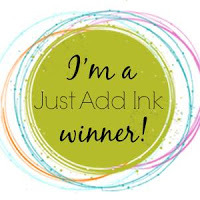 I used Stampin Up inks in Pool Party. Tempting Turquiose, Island Indigo and Basic Black; Sycamore Street DSP; card stock in Island Indigo, Tangerine Tango and Whisper White and Watercolor Wings stamp set. The sentiment is from CAS-ual Fridays ‘Bold Wishes’. Approximately 12″ of ribbon and the same of twine. Then add the butterflies to the twine and glue the twine under the concertina top and bottom. You don’t need to do this bit but I thought it added some fun to the centre of the card. Come join in the fun and make an anything goes project. Check out the projects that the artists at Watercooler Wednesday Challenges have created then take the challenge and link your creation to the challenge post. We’d love to have you join us. You have until Wednesday, 7th November at 10:00 Melbourne Time or Tuesday 6th November 5pm Mountain Time to link up your project. Hello there, it’s time for another Watercooler Wednesday Challenge and I’m the host this week with an all about holiday challenge. For my card I went with a Halloween theme card. I love the colours of Halloween and am very happy that us Aussies now seem to be celebrating Halloween more, it’s such a fun holiday. I used a stamp set from Simon Says Stamp called ‘If the hat fits’ which has some fabulous sentiments that are just that little bit cheeky. I sponged a circle to represent the moon in Distress Oxide inks of Ripe Persimmon, Spiced Marmalade and Seedless Preserves. I then heat embossed the sentiment over the top. I coloured the hat with some pencils, fussy cut it out and mounted it across the moon. Finally I added some sequins to look like stars in the sky. Come join in the fun and make a holiday card. Check out the projects that the artists at Watercooler Wednesday Challenges have created then take the challenge and link your creation to the challenge post. We’d love to have you join us. You have until Tuesday, 30th October at 10:00 Melbourne Time or Monday 5pm Mountain Time to link up your project. Today I’m playing with some new Stampin Up sets that arrived in the mail on Friday. First up is a card for the current MUSE challenge where Kim provided the card to CASE. I loved Kim’s colour scheme and layout so decided to use those aspects when creating my card. I used the Stampin Up First Frost stamp set inked up in Rich Razzleberry and Old Olive which I fussy cut. The sentiment I stamped onto a banner mounted on some Old Olive cardstock. I dry embossed a Whisper White panel using the new Tin Tile embossing folder, then assembled all the components in the opposite corner to Kim’s card. Next is my card for the current Freshly Made Sketches challenge. I love this sketch, so simple and helped my keep my card super CAS. I used a Stampin Up set called “Picked for You” inked up in Poppy Parade, Granny Apple Green and Soft Suede. I stamped the two apples and then fussy cut them out and added the sentiment and apples to a Whisper White card base and the card was done! I’ll soon be needing this card with Miss K coming to the end of Grade 6 and her primary school years. Next up is a Christmas card using the colour scheme from the current CAS-ual Fridays Challenge. I used a Stampin Up set called ‘Beautiful Baubles’ which I inked smooshed Lovely Lipstick and Blushing Bride, then stamped the bauble and sentiment in Gray Granite. I fussy cut out the bauble, added some Lovely Lipstick ribbon and popped up the bauble with dimensionals and the card was done. I love the look of this card and think the non-traditional colours are beautiful. Well, I’m off to take Miss K to representative netball trials so thanks for looking and enjoy your day. Author tinstar05Posted on October 21, 2018 15 Comments on Sunday Funday! Hello there, it’s time for another Watercooler Wednesday Challenge. Marsha is out lovely host this week with a masculine anything goes challenge. Today I tried a turnabout stamp and inked it up with 4 Catherine Pooler Design inks in Rockin’ Red, Lime Rickey, Something Borrowed and Fiesta Blue. I added my stamped panel onto a black card base with some black and white twine. I’m pretty happy with how this card turned out. Come join in the fun and make a masculine card. Check out the projects that the artists at Watercooler Wednesday Challenges have created then take the challenge and link your creation to the challenge post. We’d love to have you join us. You have until Wednesday, 24th October at 10:00 Melbourne Time or Tuesday 5pm Mountain Time to link up your project.